Who Deleted me on Facebook? What is the Reason? Facebook is the world’s third most-visited website according to Alexa and SimilarWeb. It is a network by which we communicate with friends, get news, ask for help, and more importantly, meet new people! Making new friends is as easy as sending a request. However, I am afraid that the idiom “easy come, easy go” applies to Facebook too. It is very common for users to unfriend others. Most of the time, these actions go unnoticed but sometimes this question is inevitable: Who deleted me on Facebook? and Why? Deleting on Facebook means unfriending that person. If somebody deletes you, it means you won’t be able to see what that person shares except the public posts. There is still hope, though. You can still message and stay in touch. The problem is that we don’t always notice when somebody deletes us on Facebook. Of course, you can find it out by going to that person’s profile page and see if there is an “Add Friend” button which means you are no longer friends. It is doable to check each profile pages if you don’t have many people in your friend list but what if you have thousands of friends (many of the users do)? 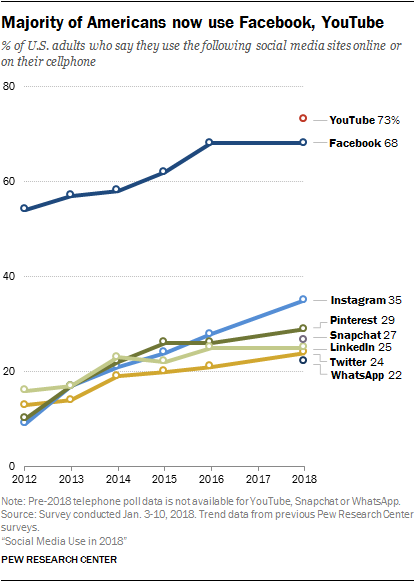 Facebook is the most popular social network. According to Pew Research, 68 percent of adults in the United States use Facebook. It is not rare to have more than a couple of hundreds of connections. Find out who unfriended, deleted, and blocked on Facebook! Sign up in 2 minutes! Who Unfriended me on Facebook? Is There an Unfriend Tracker? Who Blocked me on Facebook? Is There a Way to Unblock?